BT has been told it must invest more in the business responsible for most of the country’s broadband roll-out – or face the prospect of having the unit taken off its hands. MPs criticised the quality of service offered by BT’s Openreach, and said it must put its “house in order”. Lawmakers added that the firm could be pumping hundreds of millions of pounds more into the vital infrastructure. BT rejected that allegation, but agreed that customer service needed improving. “Openreach investment is 30% higher than it was two years ago and it will grow again this year,” the telecoms giant said. Broadband – do we want it cheap or good? The report by MPs on the Culture Media and Sport Committee accuses BT of making decisions over Openreach – which provides its rivals with access to its broadband networks – that favoured its own “priorities and interests”. The committee is “demanding” that BT pump significantly more money into Openreach. However, BT said it was “disappointed to be criticised for having invested more than £1bn a year in infrastructure when the UK was emerging from recession and rival companies invested little”. BT had, it said, “committed to invest a further six billion pounds over the next three years”. The MPs said they supported the idea of splitting Openreach from BT, if it failed to “offer the reforms and investment assurances necessary to satisfy our concerns”. In that event, the committee added, Ofcom should “move to enforce full separation of Openreach”. BT said it was in talks with Ofcom about “increasing the autonomy” of Openreach. Criticism of Openreach from MPs will add pressure on Ofcom to make a decision about the future of the telecoms company. So far, the telecoms watchdog has stopped short of demanding the network infrastructure firm be split off from its parent, opting instead for talks with BT about how it can make Openreach more independent. It is unclear how these talks are progressing, but Ofcom is expected to make a final decision imminently. One of the biggest questions it will have to ask is whether Openreach’s ambitions are big enough. Reports suggest that the European Union wants every household in its bloc to have access to 100Mbps (megabits per second) broadband within a decade, something BT would currently struggle to provide in a lot of rural areas. For its part, BT is keen to prove that it is getting its house in order and has just announced improvements in the time it takes customers to get an appointment for an Openreach engineer to repair or install broadband. Ian Lucas, a member of the committee, told the BBC that Openreach had a “monopoly” in provisional broadband services many parts of the country. “There is a long queue for people who want broadband. 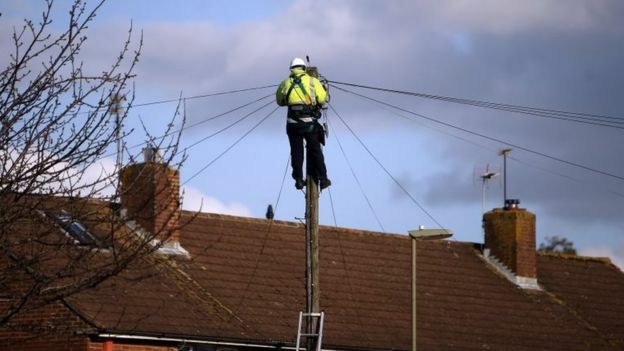 “It will be very familiar to those of us who remember the 1980s waiting for a phone line – it’s a similar situation, weeks, sometimes months waiting for a fibre connection through Openreach and there is nowhere else to go,” he added. Rival companies have long called for a split between BT and its Openreach operation, which runs its cables, fibre and network infrastructure. Companies such as Sky, Vodafone and TalkTalk, who pay to use the network, have claimed in the past that BT underinvested in Openreach, leading to a poor service with interruptions and slow speeds. In its report the committee said households had been the focus of broadband roll-out, but that it was also “vitally important” to meet the needs of that small and medium-sized enterprises, because they would be likely to offer the biggest “productivity and economic benefits”. About 5% of the UK’s population does not have access to superfast broadband. One business which does not yet have access to superfast broadband and is still waiting is Coalition Talent, a talent agency in central London. It was only after the company moved into its premises last December that chief executive Guy Robinson discovered it did not have access. The building only has ADSL which means the download speed is 12Mbps (megabits per second) and the upload of less than 1Mbps. “It’s very difficult because we have 12 members of staff. 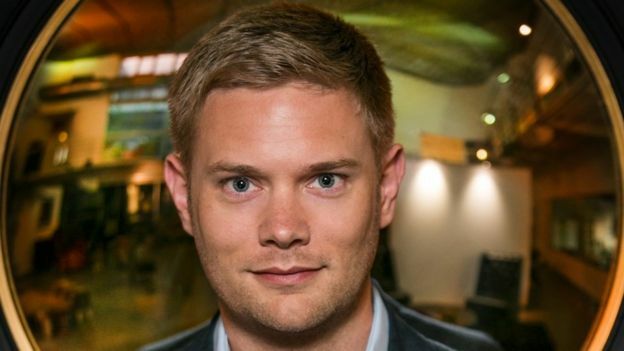 Fundamentally the download speed is just about manageable, it’s the upload that causes the problem because imagine if you’re sending any large files,” says Mr Robinson. To get round the problem, if staff have a particularly large set of files to send they go to a local McDonald’s to send them from there. 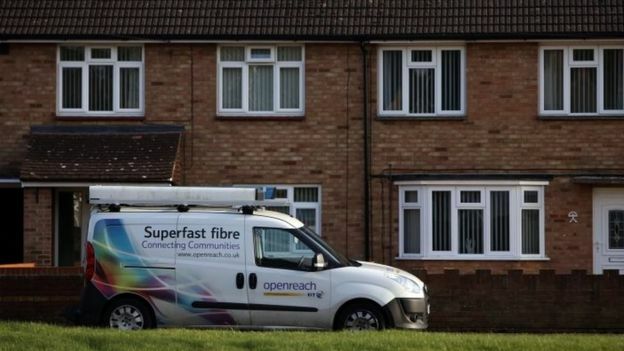 It is a solution Mr Robinson describes as “ridiculous” but at the moment he says, there is no date for superfast broadband to be installed by Openreach, which would be available to all businesses locally. He says companies have to take their own lease line “at huge cost” to get fibre internet. He calculates that including legal fees it would cost his business £15,000 excluding VAT for three years worth of internet. Alternatively, they have to make do with the ADSL connection. The MPs said the shortfall in investment in Openreach arose because BT appeared to be “deliberately investing in higher-risk, higher-return assets such as media properties, and not investing in profitable lower risk infrastructure and services through Openreach”. TalkTalk’s chief executive, Dido Harding, welcomed the MP’s findings. 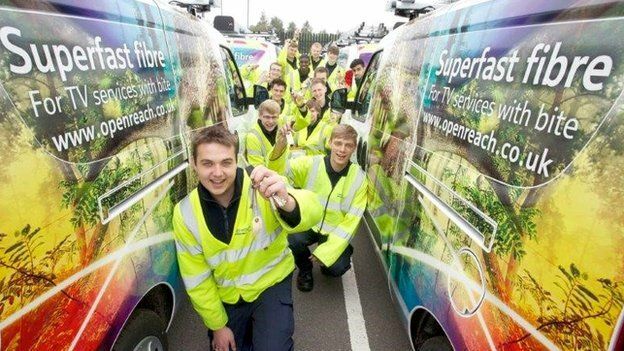 “This report puts beyond doubt the need for radical reform of Openreach. MPs have concluded that Openreach is not fit for purpose and is letting Britain down. “As Ofcom considers how to improve Britain’s broadband, it should feel emboldened to know it has cross-party political support to be radical,” she said. BT said while it agreed service levels have to improve, it was making progress in tackling the problem. “Thousands of engineers have been recruited and we are fixing repairs and installing new lines quicker than before,” it said.